Agency head John Brennan denies trying to impede an investigation of controversial interrogation tactics. WASHINGTON — A behind-the-scenes battle between the CIA and Congress erupted in public Tuesday as the head of the Senate Intelligence Committee accused the agency of breaking laws and breaching constitutional principles in an alleged effort to undermine the panel’s multi-year investigation of a controversial interrogation program. 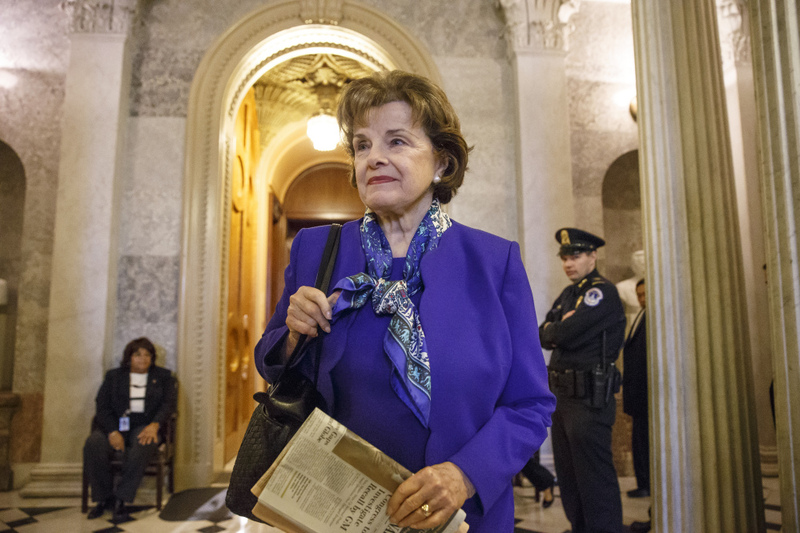 Chairman Dianne Feinstein, D-Calif., accused the CIA of secretly removing documents, searching committee-used computers and attempting to intimidate congressional investigators by requesting an FBI inquiry of their conduct — charges that CIA Director John Brennan disputed within hours of her appearance on the Senate floor. The study, which cost $40 million, took four years to complete and entailed a review of 6.2 million pages of top-secret CIA operational cables, reports and other documents, concluded that the agency’s use of harsh interrogation techniques produced very little intelligence of any value, lawmakers who have read it told McClatchy Newspapers. The program didn’t reveal the information that enabled the CIA to pinpoint Osama bin Laden’s suspected hideout in Pakistan at which the al-Qaida leader was killed by Navy SEALs in May 2011, they’ve said. Moreover, the study found that the agency misled Congress, the Bush administration and the public about the usefulness of the interrogation techniques, they’ve said. Maine Sens. Angus King, independent, and Susan Collins, Republican, both members of the intelligence committee, said they were concerned about Feinstein’s allegations. The latest dispute is in some ways a proxy for a deeper conflict over the committee’s report. The CIA and the committee are at odds over many of the report’s conclusions about the effectiveness of the interrogation program, but are battling primarily over tension that surfaced during the investigation. Feinstein’s remarks provided the most detailed account of that investigation, describing an arrangement in which the CIA set up a secret facility in Northern Virginia with a set of computers where committee investigators were promised unfettered access to millions of operational cables, executive memos and other files on the interrogation program. Over a period of years, investigators pored over the classified records furnished by the CIA, using a search tool that agency technical experts agreed to install. But U.S. officials said the committee gained access to a set of documents that the agency never intended to share, files that were generated at the direction of former director Leon Panetta as part of an effort to take inventory of the records being turned over to Feinstein’s panel. Referring to them as the “Panetta internal review,” Feinstein insisted that committee staff members discovered the documents during an ordinary search of the trove. She said they are particularly valuable because in tracking the flow of documents, CIA employees in some cases drew conclusions about their contents’ that match the subsequent interpretations made by committee staff members. Meanwhile, a letter that Brennan distributed to the CIA workforce on Tuesday raised questions about Feinstein’s claims and her awareness of how and when the committee obtained the so-called Panetta review files. The CIA began to suspect that the committee had obtained those files this year after lawmakers referred to the supposed “internal review” publicly. U.S. officials said CIA security personnel then checked the logs of the computer system it had set up for the committee, and found the files had been moved to a part of the network that was off-limits to CIA. “They did something to get those documents,” said a U.S. official briefed on the matter. A security “firewall was breached. They figured out a workaround to get it.” The official declined to elaborate. She acknowledged, however, that committee investigators made hard copies of those files and whisked them away to its offices on Capitol Hill, in part because the committee had previously seen cases in which more than 900 pages of records disappeared from the database with no explanation. Feinstein, who has strongly supported other CIA programs including its drone campaign, said the agency may have violated Fourth Amendment protections against unreasonable searches, as well as laws against domestic surveillance. Although Republicans on the committee initially voted in favor of launching the investigation, GOP members abandoned the effort after it began and so far none has voted to endorse it.